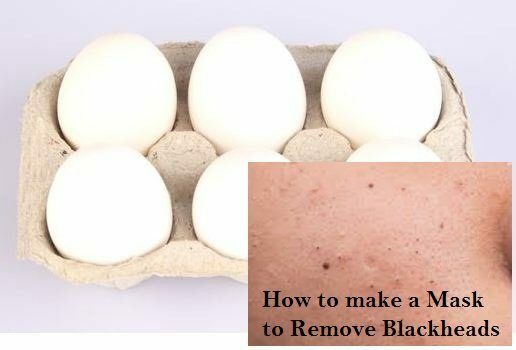 How to make a Mask to Remove Blackheads – Blackheads are a common skin problem, especially among teenagers. They are classified under the type of acne known as acne vulgaris, or as open comedones. They appear as small bumps on the skin or buffers in the large pores. Its color varies from yellow to black. There are many natural remedies for blackheads made from products that are usually found in the kitchen. Face masks are treatments applied on the face for a period of time, they will already show results as soon as they are removed. Separate the eggs. Break two eggs and separate them, keeping only the egg whites. Whisk the whites with a whisk for a few seconds, for a greater consistency. With egg white you can make a great mask, due to its tendency to harden over a short period of time. Add the lemon juice. Beat the egg white mixture while adding a teaspoon of lemon juice. Mix until well blended. Lemon juice contains alpha hydroxy acid, which is a common remedy for blackheads. The juice penetrates the pores, eliminating the oils, the dead cells and the impurities that provoke the blackheads. The lemon juice also closes the pores. Wash your face. Use a gentle cleansing solution to thoroughly clean the face. This makes it free from any greasiness or dirt that prevents the mask from adhering to the skin. Apply the mask. Spread the mixture across the face, covering all skin completely. The mixture can not be thick, so make sure the whole skin is covered. Let it dry. Leave the mask on for 15 to 20 minutes or until completely stiff and dry. It will be hardened to the touch and you will not be able to move your face. The whites of the eggs solidify in this period of time, creating the rigidity of the mask. Remove the face mask. With this, the mask should carry the blackheads together. Do not just wash the face mask with water as this will not remove the blackheads. Pulling it apart is the best way to remove it. Finally, after the mask has been removed, wash the face with warm water. After drying, apply a moisturizing lotion. This reduces irritation and closes the pores open. Next post How Many Push-Ups should I be able to do at Age 15?